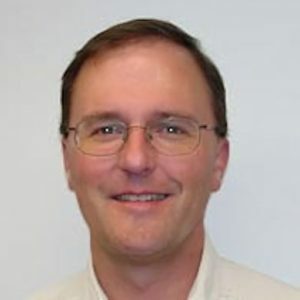 Henry Rohrs earned a BA in Chemistry from the University of Utah in 1985 and PhD from the University of Colorado in 1994. He continued his training with postdoctoral appointments at Purdue University and Washington University. He Worked for three years at a start-up company in St Louis before taking a position in 2004 as a staff scientist at the NIGMS Biomedical Mass Spectrometry Resource at Washington University. He and his wife Barbara are the proud parents of twins. They reside in Webster Groves and enjoy the great outdoors with their Glen of Imaal terrier, Winslow.